Brother Jesse Blog: Dr. Abdul Alim Muhammad returns from an 8-day mission in Haiti.....watch his video! 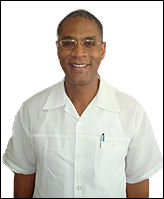 Dr. Abdul Alim Muhammad returns from an 8-day mission in Haiti.....watch his video! The Nation of Islam's Minister of Health Dr. Abdul Alim Muhammad has safely returned to the United States after an 8-day mission in Haiti. Below is a video he posted on his blog Life Abundantly. Dr. Alim says "Here is video of some of the destruction of the government buildings and infra-structure that has virtually shut governmental operations down. They were not all that good before the quake. Now they are almost none existent." "Foreigners, some well meaning, others not, are swarming all over Haiti and the people are suffering horribly. The video was shot by me from a moving car on my second day in Haiti a week ago," he said. Be sure to follow Dr. Alim's blog for more reports.